Oil from recycled tyres has been overlooked as a potential biofuel source, yet it is the most reliable and easiest to refine of all, according to oil expert Tim Rose of Southern Oil. Rose said that the future of this source of feedstock is “immense” and preferable to other bio-oils from plants such as corn or algae. He also said it reduces dependence on imported fuel and “is an excellent example of converting an environmental waste problem into a valuable raw material. Southern Oil has operated a refinery at Wagga Wagga, a city in New South Wales, Australia, since 2001. The plant processes 38% of Australia’s collected waste lube oil and is in the process of building an advanced $16 million biofuels plant at Gladstone, Queensland. Rose said: “The first ‘trickle’ of oil is now being provided to us by the Green Distillation Technologies tyre recycling plant at Warren in Western New South Wales under a supply contract we signed this year as they now have their first processing vessel operating pending approval by the environmental authorities after which they can expand their production. 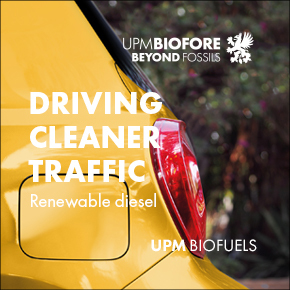 “We have found that the oil they are providing is quite easy to convert to diesel fuel as the main refining step we have to make is the removal of the sulphur, but in time it could become a suitable feedstock for automotive petrol and even jet fuel. “However, initially we plan to use it as the raw material for diesel fuel for stationary engines, but as the volume increases in time we will build a specialist refinery at Gladstone to just handle the oil from this source. 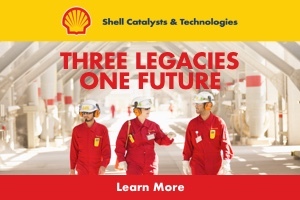 GDT has developed world-first Australian technology that will recycle end-of-life car and truck tyres into oil, carbon and steel using a destructive distillation process. They were Australia’s first ever nominee in the Edison Awards, the world’s top award for innovation last year where they won a bronze medal. Green Distillation Technologies Chief Executive Craig Dunn said that an oversize tyre from a mining dump truck that weighs 3.5 tonnes will yield 1500 litres of oil, 1.5 tonnes of carbon, as well as the steel reinforcing which will go back to the tyre manufacturer for reuse. This story was written by Liz Gyekye, editor of Biofuels International.